Margaritaville, a global brand inspired by the lyrics and lifestyle of Jimmy Buffett, has opened its doors to its first restaurant in the Bahamas. Offering both locals and vacationers another port of paradise, the open-air, waterfront-concept restaurant is located on picturesque Paradise Island, home to world famous resorts and attractions. Paradise Island has always been a favorite vacation spot for Buffett and many of his songs are inspired by his stays there. The venue is located right next to the world famous Hurricane Hole Marina where Buffett famously hunkered down during a hurricane and wrote his iconic song, “Perrier Blues.” Fans may even catch a glimpse of his boat, the “Continental Drifter” which is frequently spotted in the Marina across the street. 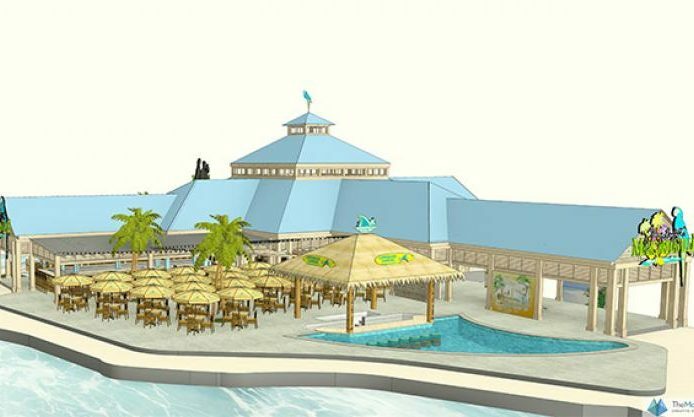 The perfect location for hotel guests and cruise passengers, Margaritaville Bahamas will feature a signature forty seat Boat Drinks Bar, a portside open-air Chill Bar with a Drinks-To-Go window and a Margaritaville Retail Store. The venue will also feature a live performance stage which will host popular local musicians including The Loose Crew, who have ties to Buffett and include an eclectic range featuring sounds of Calypso, Reggae, and Blues. The restaurant will serve up the brand’s famed margaritas and popular dishes as well as island-inspired favorites.